PS Audio BHK 250 amplifier, PS Audio BHK Signature preamplifier. 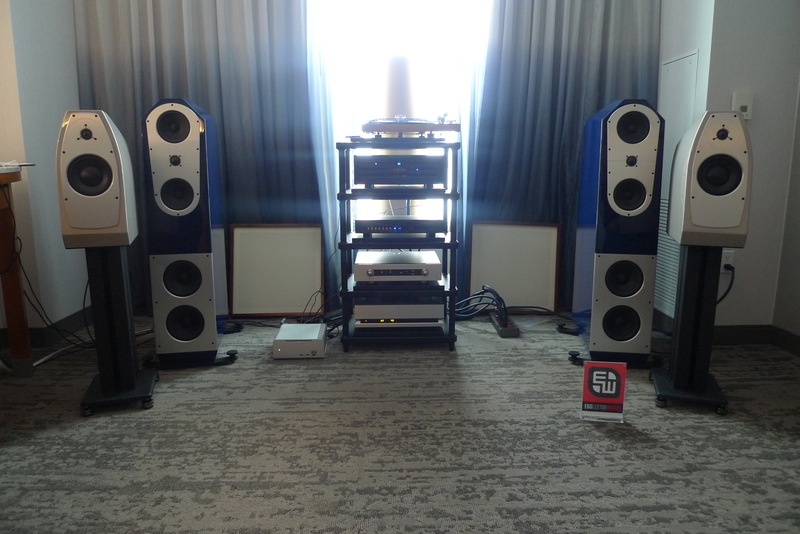 Heed Thesis phono stage. Digital: PS Audio DirectStream DAC and DirectStream Memory Player. Analog: Fern & Roby Montrose Turntable and Soundsmith Zephyr MIMC Cartridge. 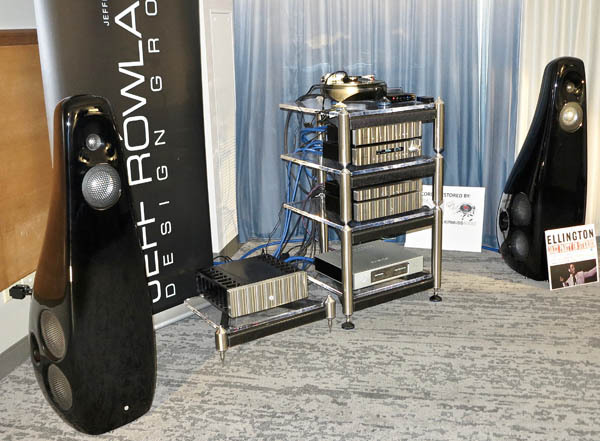 CHICAGO (PTA) — Mark Sossa of Well Pleased Audio Vida once again demonstrated a stellar stable of components and show-stopping sound. 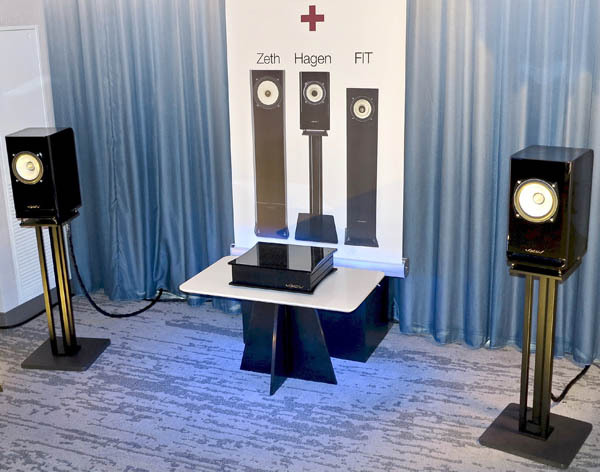 Rethm loudspeakers continue to dominate my personal point-source category, Qualiton, Aqua, and Innuos make quick work of the hi-res streaming, while GigaWatt, Swisscables, and SGR Hifi Racks do more than support the system. 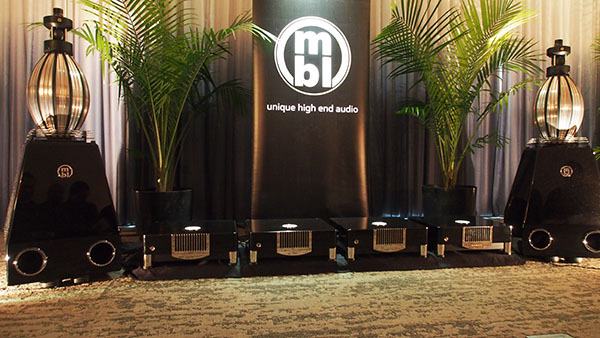 That is the first time I’ve ever seen a reviewer express the same sentiment I share regarding speaker drivers and grills! 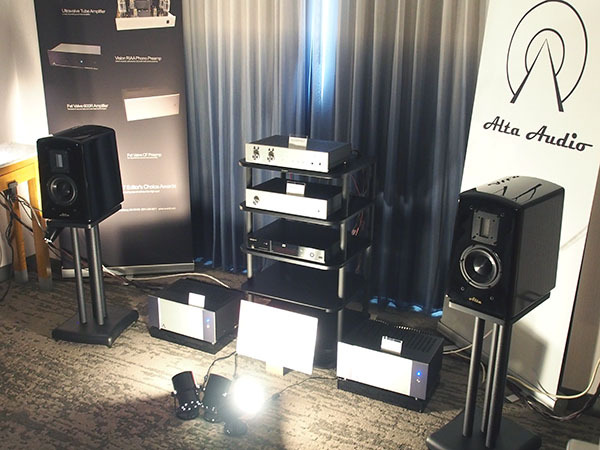 Alta Audio was showing off their Celesta FRM-2 stand-mounted speakers ($15,000/pair) at AXPONA, driving these two-ways with AVA SET monoblock amplifiers ($5000/pair), which use two of Frank Van Alstine’s single-ended MOSFET amplifiers in push-pull to obtain 600Wpc into 8 ohms. The source was Frank’s laptop feeding data via a 25′ USB cable (!!!) to his Mk.5 DAC and FET/Valve CFR tube preamp. Cabling was all by a brand new to me, Anticables. What a difference a change of venue and cabling makes. 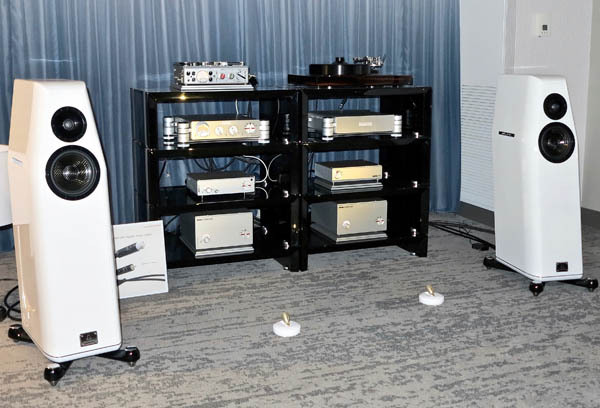 In the Nagra room at CES, the sound was silvery, glistening, open, and mesmerizing. 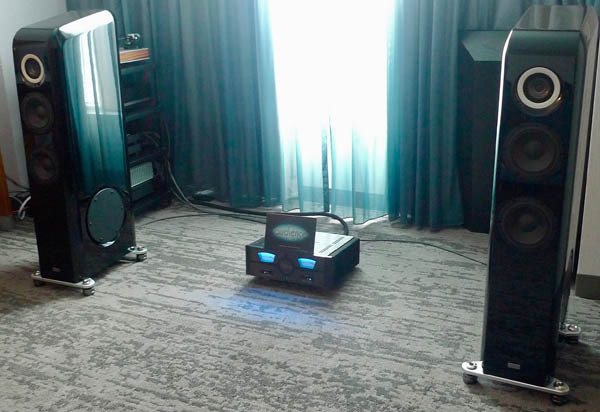 Here, with smaller Kharma Elegance S7 loudspeakers ($18,000) and mid-priced copper-based Organic Reference cabling that uses a fiber dielectric, the sound was more toned down but no less compelling. 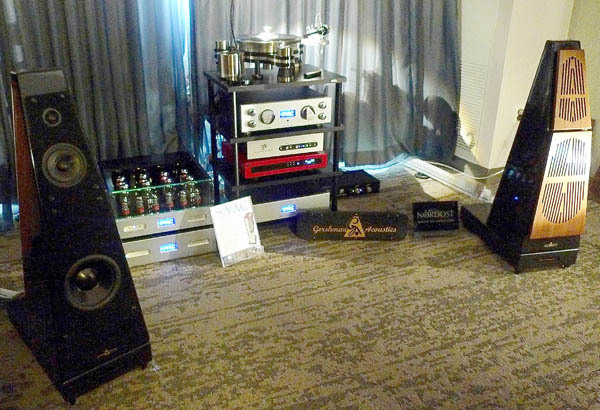 An usually synergistic equipment match ruled the 16th floor room sponsored jointly by Jeff Rowland Design Group, Cardas Audio, Grand Prix Audio, and Vivid Audio. Frankly, I don’t think I’ve ever heard Jeff Rowland’s equipment produce such mellow and beautiful sound. I admit up front I’ve been behind the curve in understanding/appreciating the EgglestonWorks house sound. I’m a slow learner, but whenever I finally get something—I’ve got it. Today, in the room sponsored by retailer Tenacious Sound (with stores in Syracuse, NY, Augusta, GA, Jacksonville, FL, and, soon, Louisville, KY), during the world premiere of EgglestonWorks’ very beautiful Nico Evo standmounted speakers, I realized why so many people love this brand: They are super well-crafted, and they seem to do everything very well.